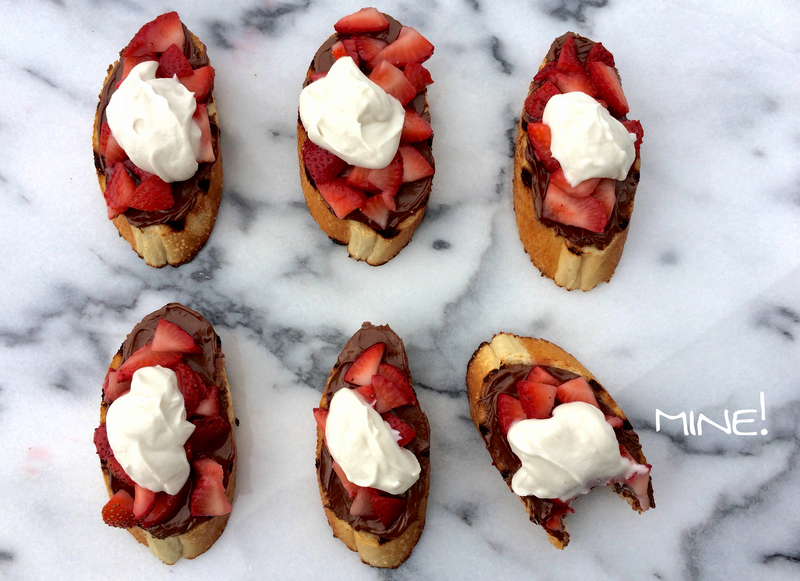 I’ve been making this ultra simple dessert for years and I look forward to strawberry season specifically for this treat! 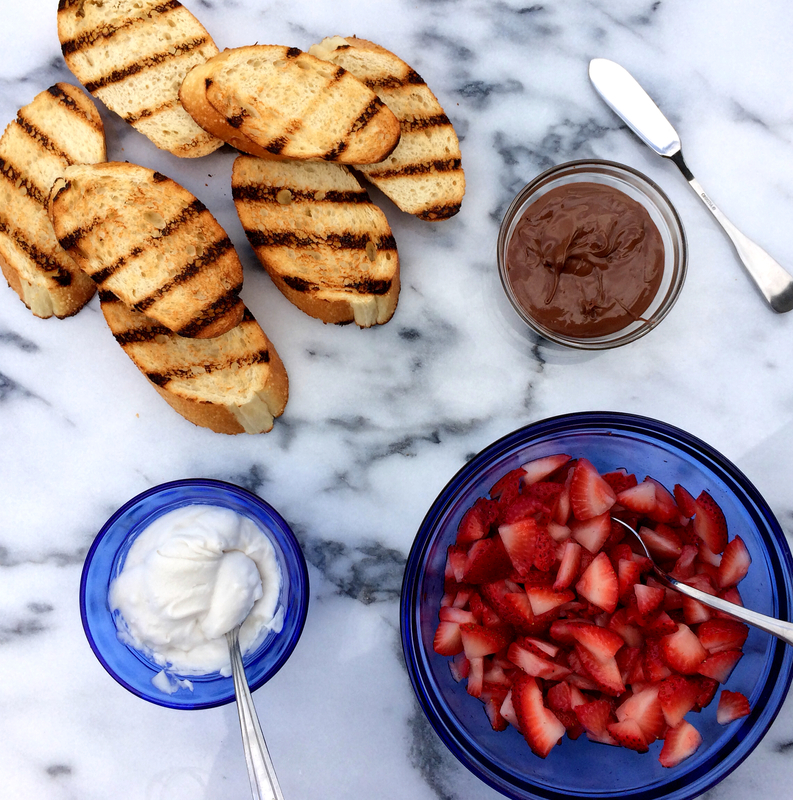 Grilled bread, topped with Nutella, sliced strawberries and whipped coconut cream is the perfect ending to any springtime meal, especially when you’ve already got the grill fired up. In years past, I topped the strawberries with homemade whipped cream (the dairy kind), but this year I decided to give whipped coconut cream a try…and all I could think was, “Why the H-E-Double-Hockey-Sticks didn’t I try this sooner?” It’s good. Darn good. So stinkin’ good. I. like. really. lots. The trick is to refrigerate the can of full-fat coconut milk so the cream and water separate, then open the can upside down so the water is now at the top. Drain that off (use it for something else) and scoop out the solidified coconut cream. Then whip it. Whip it good. And sweeten it with just a bit of sugar and a teensy splash of almond extract. 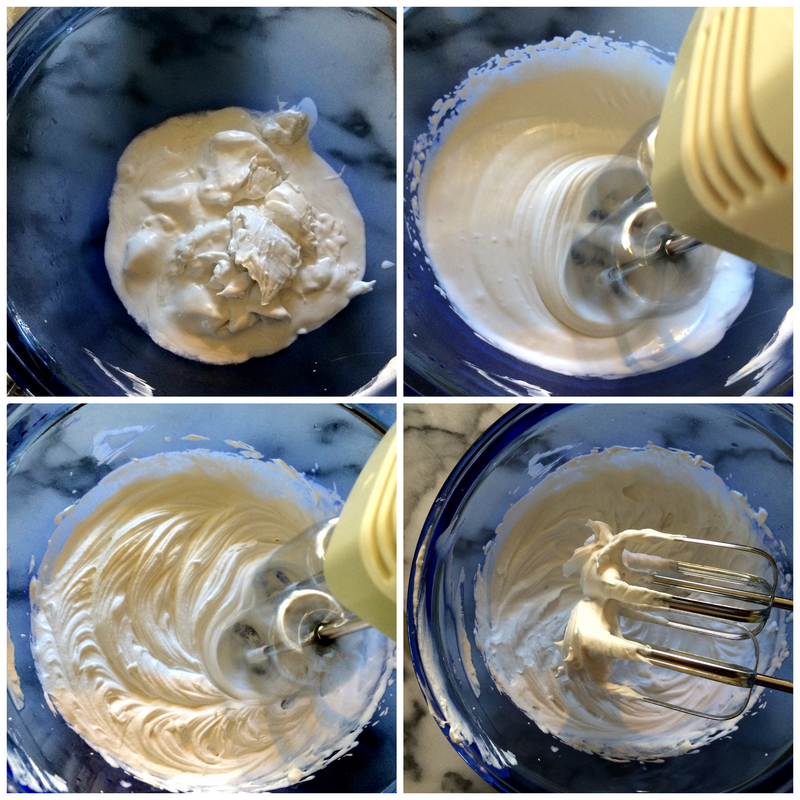 The great thing about this whipped delight is that you will find as many ways to use it as you possibly can. A spoonful on top of oatmeal? Done. Spread onto graham crackers? Did it. Stir into coffee? Check. Blend into a smoothie. Mos def. Stand at the fridge and eat it out of the bowl with your finger? Umm, duh. 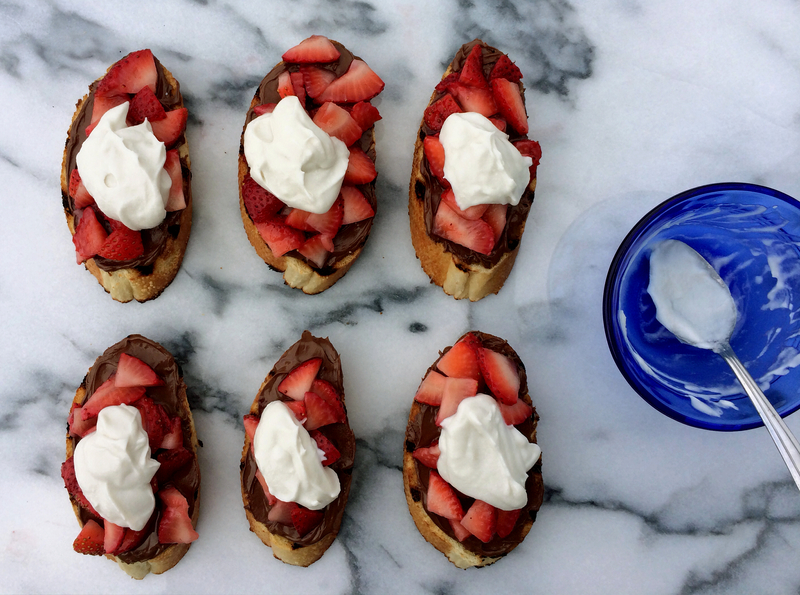 The strawberries for this dessert are simple — sliced with just a teaspoon of sugar. They don’t need anything else. 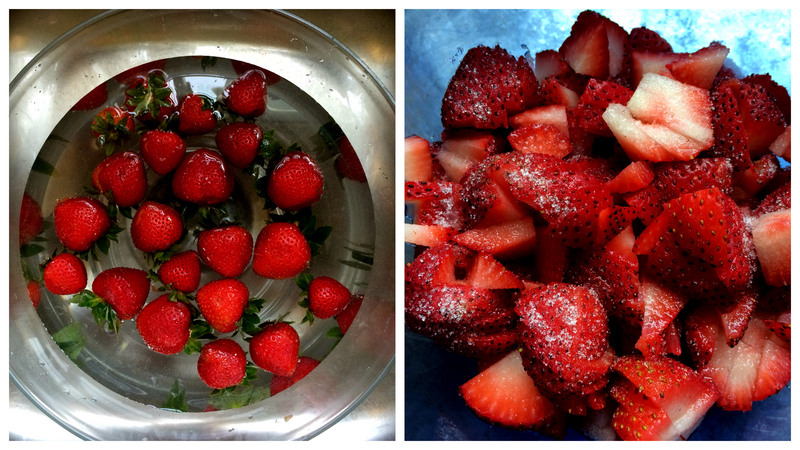 I clean strawberries with a 3:1 ratio (roughly speaking, I don’t really measure it) of water and vinegar. 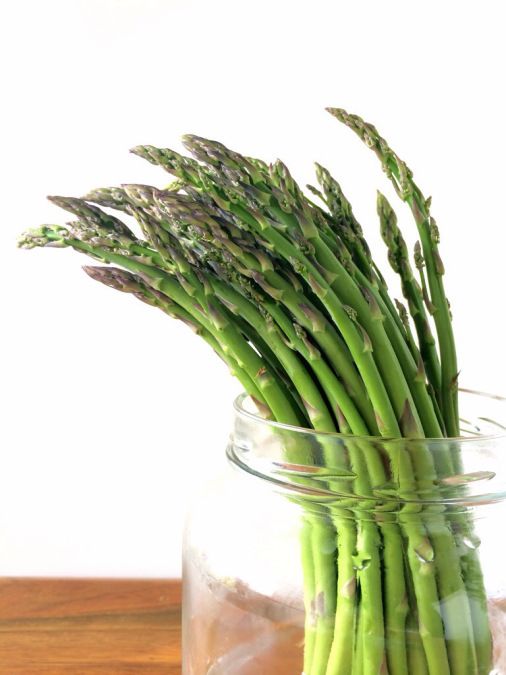 After that, give them a quick rinse or spray from the faucet with fresh water, then let them air dry completely before putting them in the fridge. This allows you to keep strawberries, or any berries, in the refrigerator cleaned and ready to go without spoiling for up to a week — and sometimes longer. This technique has been a game changer for me. I used to be guilty of berries frequently rotting away in the fridge — either I just wouldn’t get to them in time or I’d wash them, thinking I’d be using them within a day, but then completely forget they were there and find the poor white and green, fuzzy suckers days later. Shameful, I know. But not anymore! And there’s no vinegar taste whatsoever, I promise! Turn the refrigerated can of coconut milk upside down to open; the solidified coconut cream and water will have separated and this allows you to drain off the water into a bowl (but don’t throw it out, you can use it in smoothies or curries!). Scoop out the coconut cream into a medium sized bowl and whip with a handheld mixer on medium speed until light and fluffy. 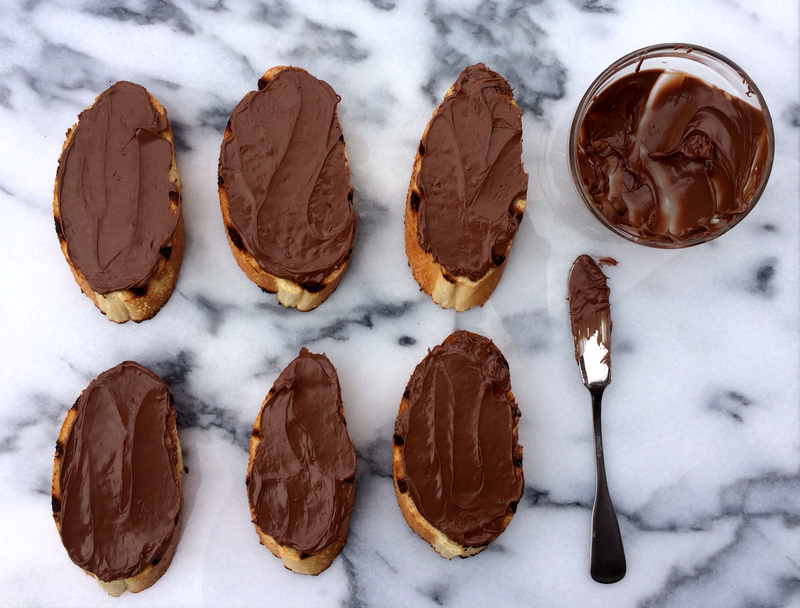 Add 1 – 2 teaspoons of sugar and the almond extract and whip until fully incorporated. Refrigerate until ready to use. 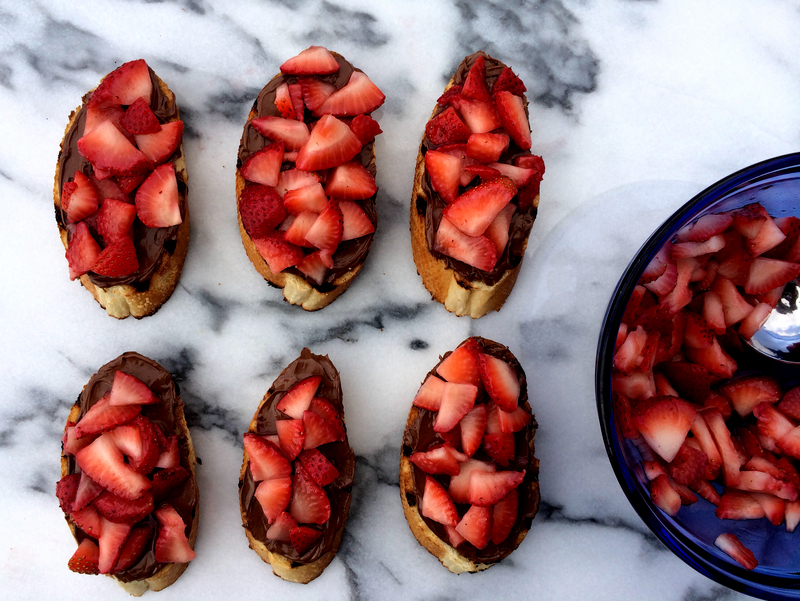 Place the sliced strawberries and remaining teaspoon of sugar into a bowl; stir to combine and set aside. 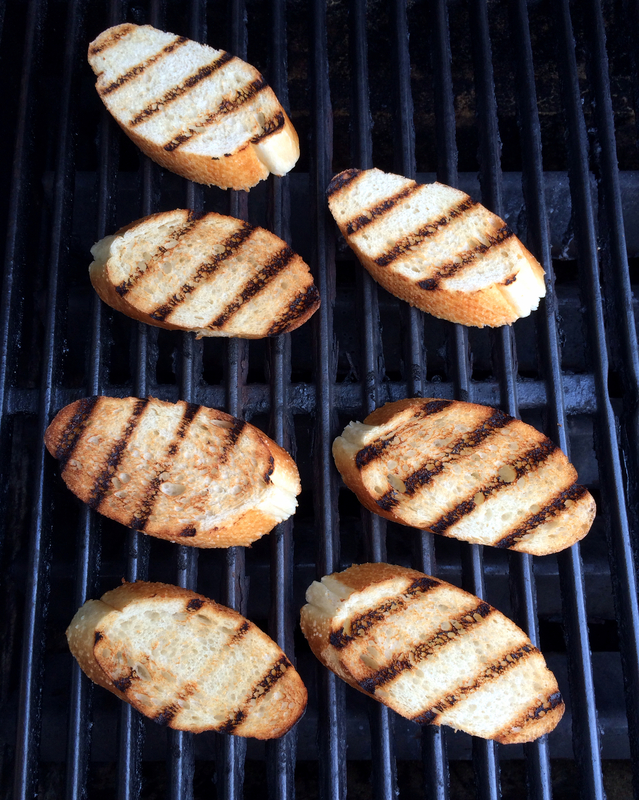 Heat your grill or grill pan (or panini press as I’ve done in the past) to medium-high and grill bread for about 2 – 3 minutes on each side. 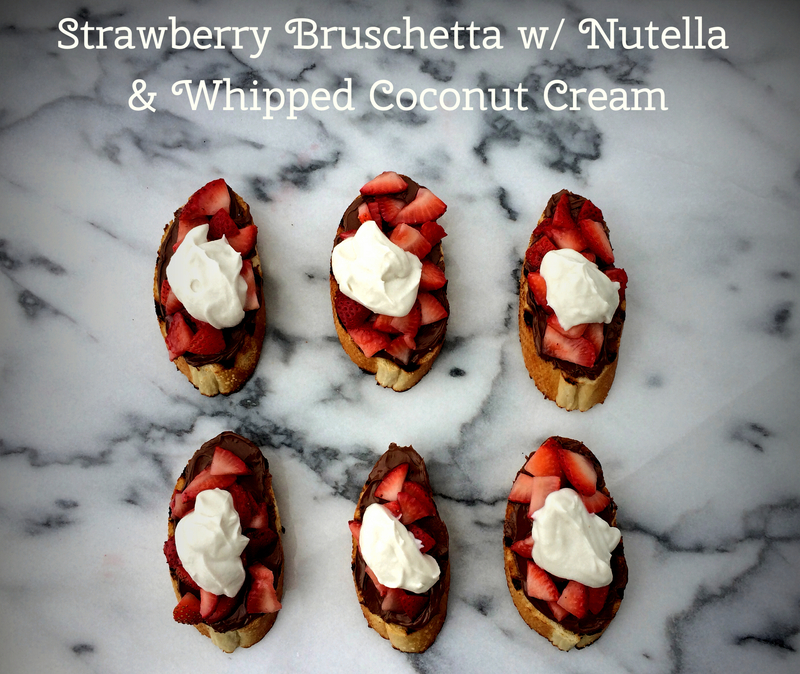 Spread Nutella on the grilled bread, top with strawberries and a spoonful of whipped coconut cream. Enjoy! *Be sure that the coconut milk is full fat and not a brand that has emulsified the coconut cream and water; these two need to separate since you drain off the water and use just the cream for whipping. I’ve had luck with Thai Kitchen and A Taste of Thai, but not Native Forest.